A user-centered online strategy aligns your goals with your users’ expectations. Not just now, but for years to come. Most websites are built in a rush. You wouldn’t start building a house by sticking some bricks together. First, you draw up a plan. Or more likely: you get a professional to draw up a plan for you. Online strategy or web strategy goes way beyond your website. Together, we determine which online channels you should use and how. How do you get the most out of Twitter, LinkedIn or Facebook? How does your blog fit into the story? Do you need a newsletter? 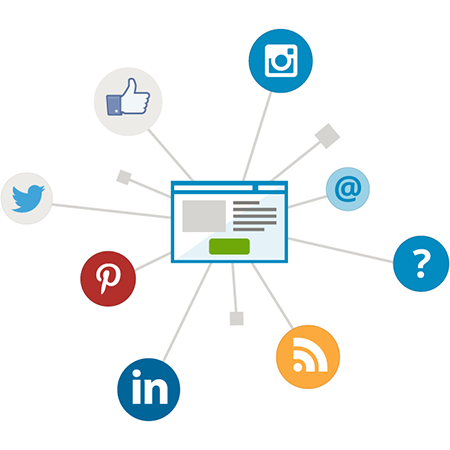 How do you strengthen the relationships between your different online channels? Do you want the same things as your users? What do you want to achieve online? We research it for you. By online surveys, logfile analysis and interviews with your clients and prospects. Lots of ideas surface in the research phase. And that’s great. But you can’t act upon all those ideas at the same time. There just aren’t enough hours in a day. We help you determine which features and content to focus on for the first 6 months. And the next 6 months. And so on. Your online strategy is the basis for all your online projects. Which content should be on your website? How do you structure it? How do you maintain it? Our content strategy tells you. We also translate your strategy in a transparent information architecture. And visualize it in a clickable prototype with mock-ups of your most important screens. Would you like some help with your online strategy?